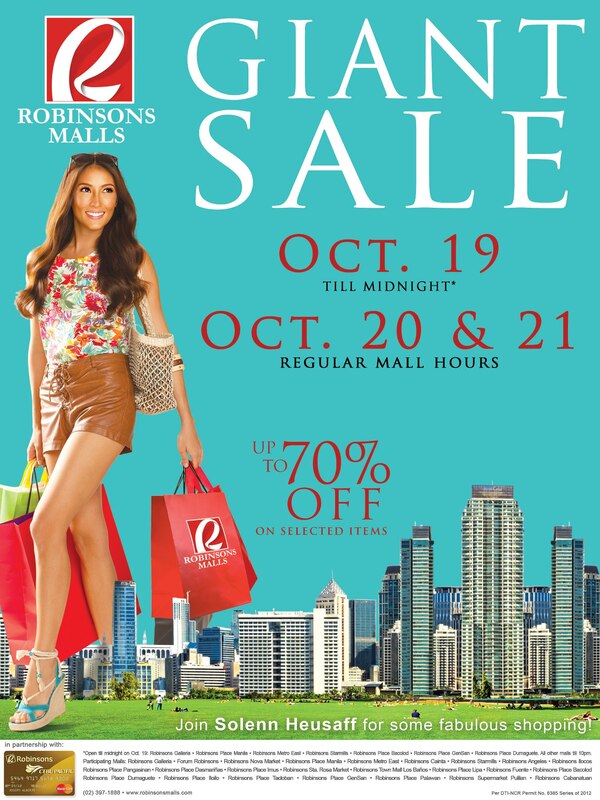 Get up to 70% off on great selections from select brands at participating Robinsons Malls nationwide from October 19 – 21, 2012. Shopping hours are extended to 12 mn on October 19, 2012 only for the following malls: Robinsons Galleria, Robinsons Place Manila, Robinsons Metro East, Robinsons Starmills, Robinsons Place Bacolod, Robinsons Place GenSan, Robinsons Place Dumagete. All other malls until 10 PM.